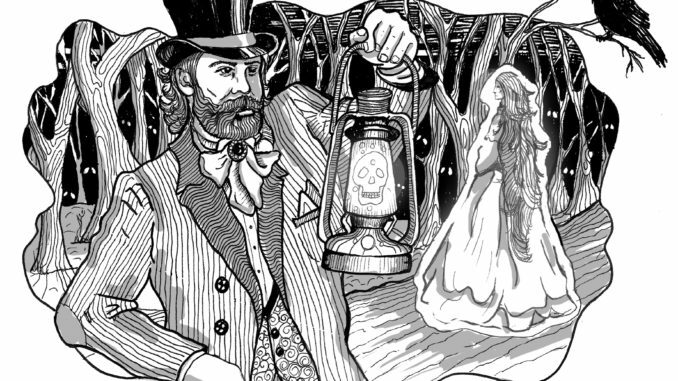 Did I ever tell you about the two-headed ghost which terrorised a Welsh community? No? Well, now you can read all about it in my latest Folklore Thursday article. I stumbled across this spirit while researching Ghosts of Wales: Accounts from the Victorian Archives, and it’s one of my favourite spooky stories from the 19th century newspapers. Not only was it corroborated by multiple witnesses – which is always a good thing in cases reported in the vicinity of a drinking establishment! – but it is, as far as I know, the only example of a ghost with two heads haunting Wales at the time. It also has quite an inventive, and somewhat grisly, explanation for the second head. But I won’t spoil it all here – you can read all about the two-headed Welsh ghost on the Folklore Thursday website. For a lot more Welsh ghost stories from the Victorian era, be sure to check out Ghosts of Wales: Accounts from the Victorian Archives. Oh, and if you know of any other cases of two-headed ghosts haunting anywhere in Cymru, please let me know!